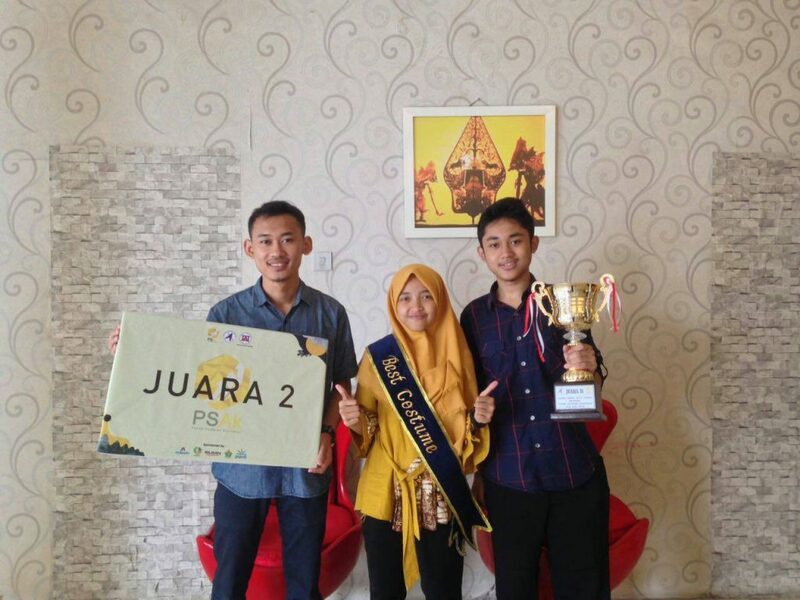 Malang – The team consisting of Fiki Putri Ayyunin (Accounting 2016), Afwa Aranza Windu Handika (Accounting 2015), and Ahmad Faisal Siregar (Accounting 2017) have successfully won 2nd place in the Semarak Accounting Week (PSAk) event at University of Sumatera Utara, Medan. PSAk is a scientific work competition organized by Accounting Students Association of FEB USU. 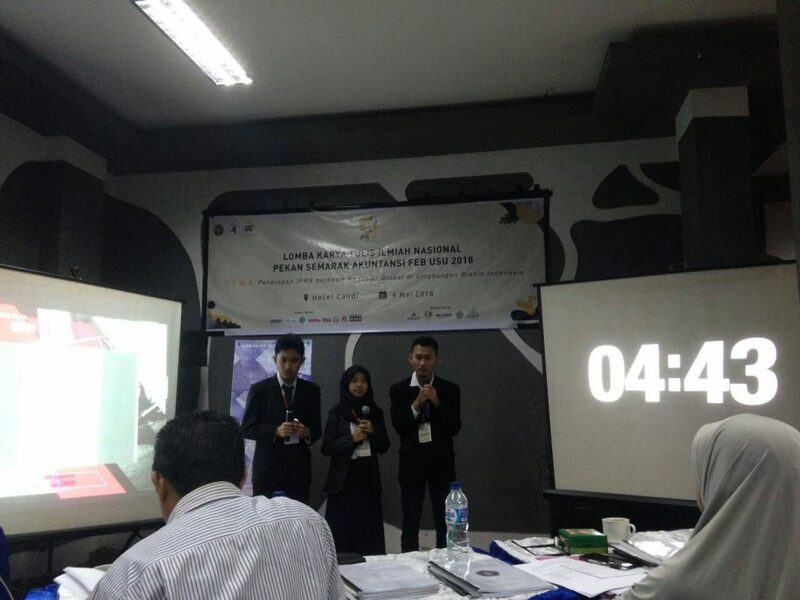 Fiki tells, his team made it through fullpaper and advanced to the finalist stage (top 10) with a paper entitled “Web Based MSME Exchange: A Solution for Progress for Small and Medium Enterprises (UKM) in the IFRS Era”. “It’s great to be able to get competition in Medan, for the first time I go out of the Java island, with join this competition, i get new relationship, can know and learn other culture, can touring, and of course make the name of FEB UB’s great” Fiki. This victory makes the name of FEB UB more known in Indonesia. Other teams hope that their next competition will be held in out of Java again. “Next competition if possible in Kalimantan or Sulawesi, because I want FEB UB better known not only in Java, but also in Sumatra, Kalimantan, Sulawesi, and others” said Afwa.